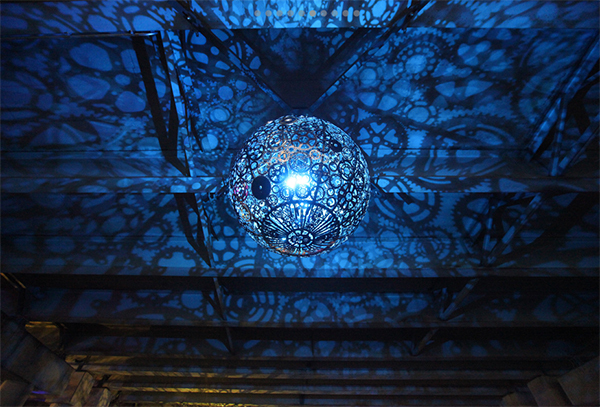 When used bicycle parts get a second life as something beautiful, the term ‘upcycling’ couldn’t be more apt. Although an advocate of all things eco, I am one of the few Londoners that doesn’t do cycling – in fact, you couldn’t pay me to get on a Boris Bike. 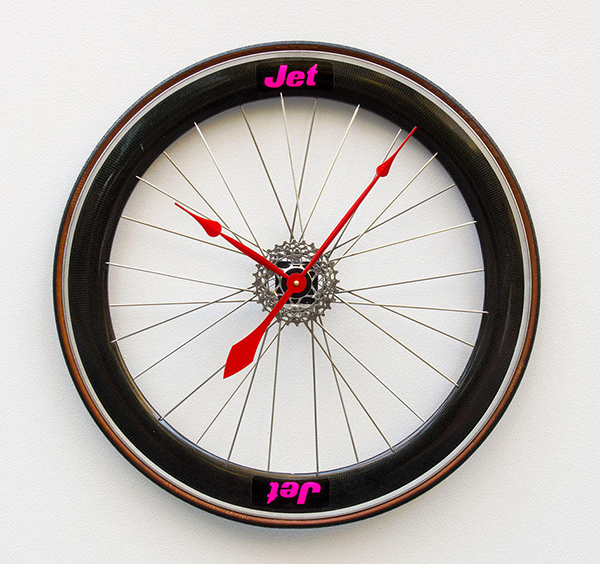 But I can appreciate the imagination required to turn something as clunky as a bicycle chain, seat or inner tube into something aesthetically elegant. 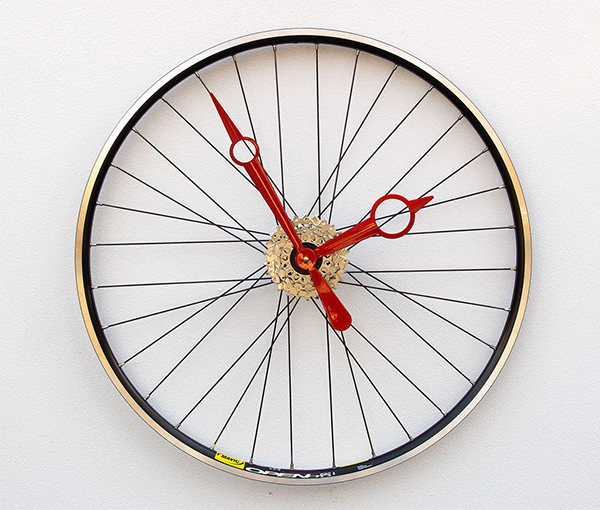 Read on for some of the best examples of bicycle part repurposing. 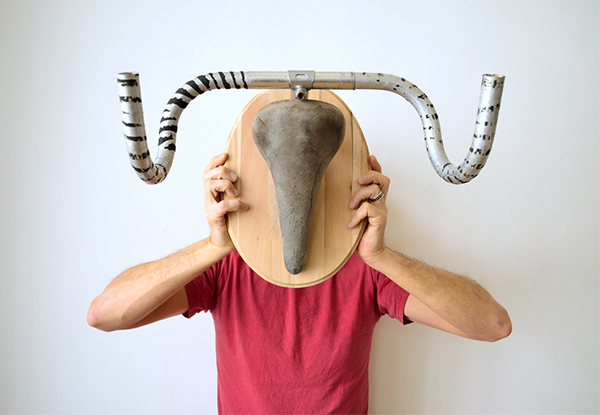 Austrian designer Andreas Scheiger created a series of hangers called ‘Upcycle Fetish’ inspired by Picasso’s ‘Bull’s Head’ sculpture from 1942. 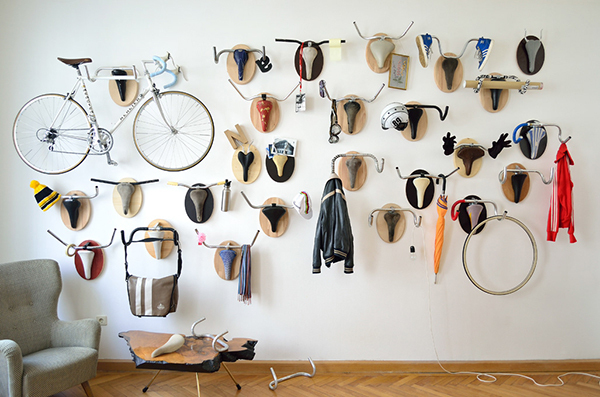 Reclaimed bike parts are mounted on to a wooden plaque – a play on the taxidermy hunting trophy and can used to hang a plethora of items, including an actual bicycle. 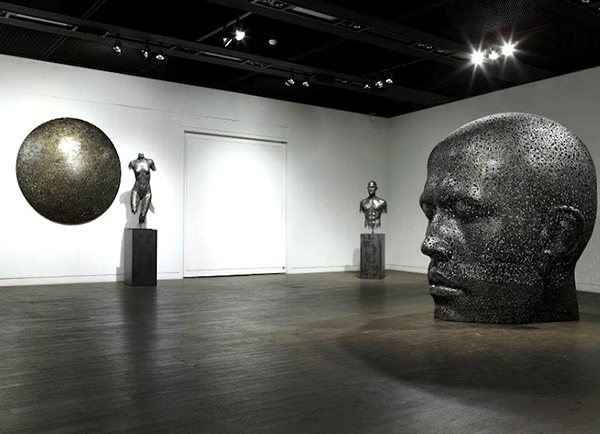 Young-Deok Seo‘s awe-inspiring sculptures are made from welded metal chains, including roller chains. 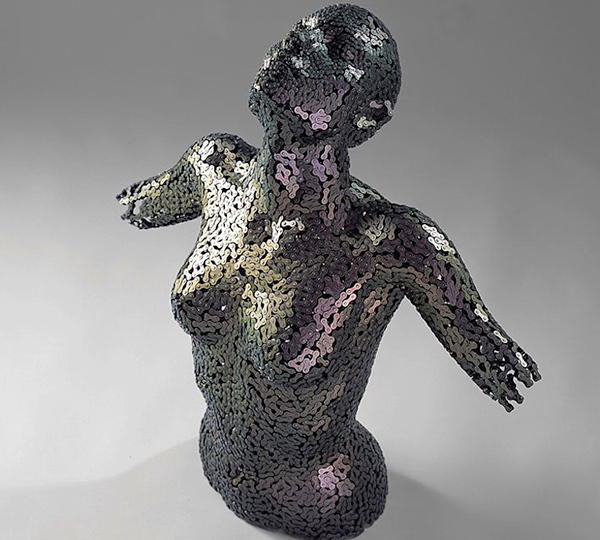 The human form and emotions are captured at varying scales and are so life like, it’s hard to believe they are made from a material so closely associated with the mechanical. 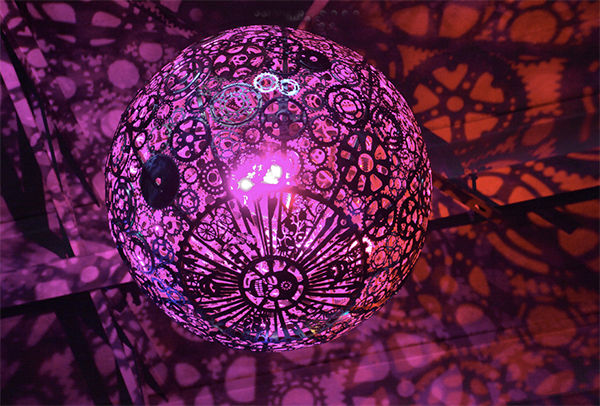 In 2013, under a gloomy Texas underpass, Ballroom Luminoso was installed by artists Joe O’Connell and Blessing Hancock. 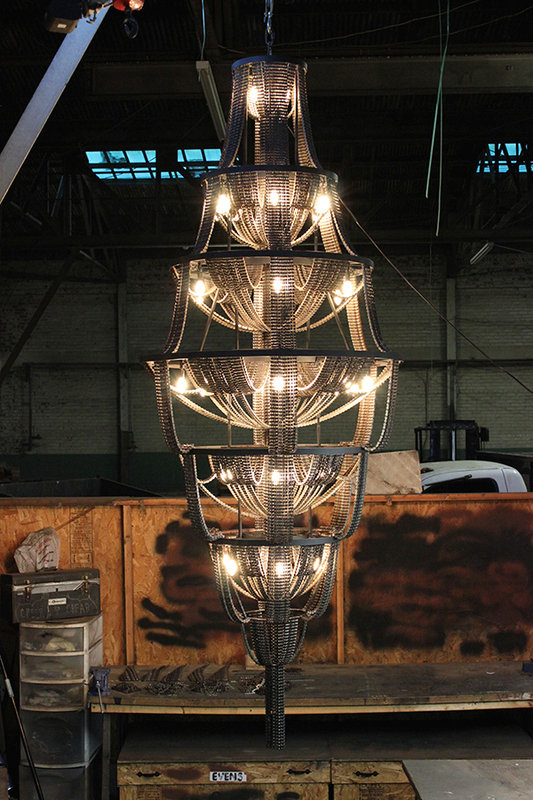 The work comprised six chandeliers made from structural steel, custom LEDs and recycled bicycle parts. 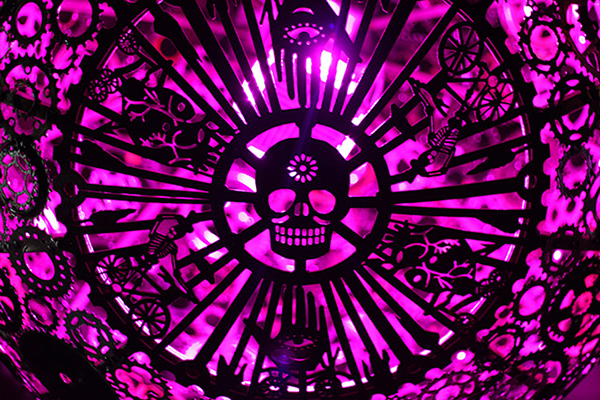 By night, the underpass was cast in a beautiful play of circular shadows which incorporates the iconography of La Loteria, a Latin American board game, drawing on the Hispanic heritage of the community. 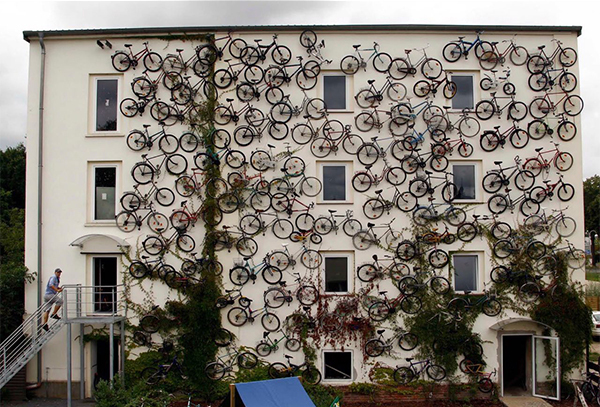 Here, bikes mounted onto the exterior of a bicycle shop is an effective alternative to shop signage. The shop in Altlandsberg, Germany started their collection with 40 bikes that were brought in as trade-ins and it has since increased to about 120. 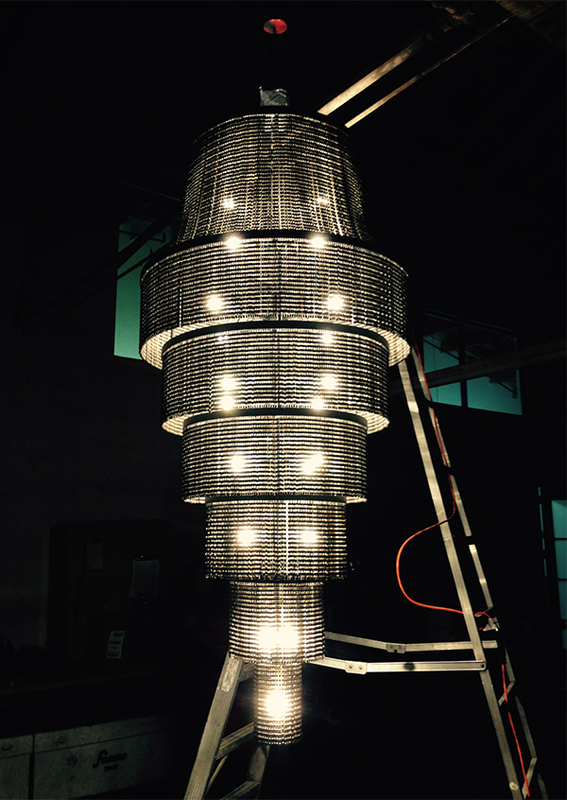 That scene from E.T brought to mind?